Twitter was my first social media love and launched my personal passion for social media. While I’ve branched out to other social networks, Twitter remains a steady foundation for my personal social media presence as well as client accounts that I manage. We can all use new ideas to help keep things fresh. I’ve gathered Twitter tips from some experienced friends. 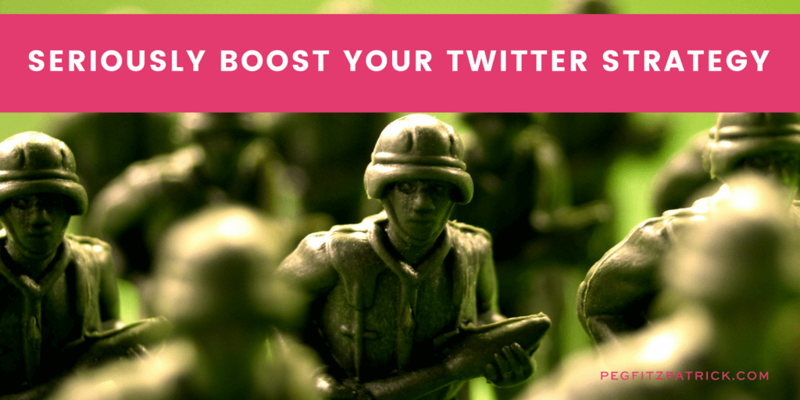 You can seriously boost your own Twitter strategy using tips from these experienced tweeters! I asked each of my friends the same questions and the words that follow are their own. I’ve compiled a Twitter list with all the people in the article and those that they recommend. Use this list to supercharge your Twitter! Twitter moves so rapidly that is sometimes hard to keep up. I navigate intuitively in order to find what is relevant to me and my world. Sometimes I share content found on Google+ or Facebook, but I’m not always able to respond to every comment. I do my best to engage with people, but may not say hi to everyone on Twitter or reciprocate all the re-tweet love. I find it easier on platforms such as Instagram, because I’m very fond of its photography focus that allows me to share my daily walk in nature. I used to follow people manually every day. These days, I follow people when I like their tweet, their blog post or if they engage with me. When you’re active in so many channels, and strive to create consistent and compelling content, people will organically follow you. At the end of the day, you need to interact to receive engagement—so if you Tweet, they will come! The best way? It depends. Do you want quality or quantity? Yes, a big account gives impressions for Twitter chats and reach for circulating your message. The best way to build a following is pick your favorite Tweeter and follow their followers. The more time you put into it, the higher ROI you will receive. I built my following manually, which takes a lot of time, so your plan should depend on your priority. Again, is it quality or quantity? Are your followers engaging with you? I don’t have favorite Tweeters because they can change every day. I appreciate discovering new people to follow because one never knows where the serendipity of the social media universe will take you. I am grateful for all the experiences this journey has afforded me. Don’t focus on the number! A mistake many make when they first sign up is becoming consumed with follower count. Stop worrying about your numbers and instead focus on building meaningful and beneficial relationships with a small group that’s eager to share your content. Use Followerwonk to locate people based on industry, profession or keyword. It’s an easy way to get focused results and begin to build followers in a strategic and meaningful way. You can also review your best times to tweet. This will ensure you’re tweeting at the optimal times, targeting your audience at the exact moment they’re online. Richie Kawamoto – Richie is fun, engaging and shares awesome social media and marketing content. Steve Gutzler – Steve is one of the most inspirational people I know sharing leadership and motivational tweets. Liz Dennery Sanders – Liz is an amazing champion of female entrepreneurs sharing tweets that help you build smart, engaging brands with style. Be true to yourself, but also try to make Social Media useful for your followers. I’d say hold up a “mirror” to the kind of people you want to attract and provide information / tips that benefit THEM, but make sure that mirror is a reflection of you: “tell the truth, make it matter, never be boring. Fire UP your Twitter Bio! Come on, tweeps – let your personal brand shine, share your passions, a website link to learn more, and for the love of Champagne – rock a fun (recognizable) profile pic! Your tweets might be engaging, entertaining, or educating the Twitterverse, but if we click to learn “who you are” and it tells us nothing – you may be missing out on sparking fun connections and gaining new followers. 1. Know WHY you are there! Define your voice (sassy, snarky, serious pro…) and topics (wine, dogs, social branding…) THEN start tweeting. Create and curate content around those topics. Remember, becoming an influencer tweeps want to follow includes credibility and consistency. 3. Create lists for “listening AND connecting”. Intentionally find and follow people who share your passions, inspire you, are influencers in your industry/local area, or even purely entertain you. This allows you to pop in, scroll down the stream, engage efficiently, and connect these people to one another too. Building relationships is key to growing your following… and what better way than connecting to and with kindred spirits! 4. Infuse #hashtags into your tweets. The stream is jam-packed and can be noisy, so make it easy for the right people to find your conversations. For example, when you want to chat about wine in Washington include: #wine and #WAwine to broaden your tweets reach! My Twitter practices defy the recommendations of social media “schmexperts” (schmuck + experts) to manually post a limited number of tweets and not use automation, repetition, contributors, and ghostwriters. I have never been on the Twitter Suggested User List, and I have more than 1.4 million followers. I attribute this success to providing a lot of interesting links that people retweet. These retweets expose me to many people who then follow me. The headline of a HolyKaw post — for example, “Compilation of stories about introverts, outsiders, and loners” — automatically generates tweets that go out through a custom app called GRATE, for “Guy’s Repeating Automated Tweet Engine.” These slightly modified tweets appear four times, eight hours apart. The reason for repeated tweets is to maximize traffic and therefore advertising sales. I’ve found that each tweet gets approximately the same amount of clickthroughs. Why get 600 page views when you can get 2,400? Like CNN, ESPN, and NPR, we provide content repeatedly because people live in different time zones and have different social media habits. Establish yourself as a subject expert. One thing is for sure about Twitter: there are some people interested in every subject and every side of every subject. By establishing yourself as a subject expert, you will make yourself interesting to some subset of people. Tweet as much as you want! While it’s best to schedule out tweets so you aren’t blasting a bunch at a time, I feel like frequent tweeting is a benefit. People who don’t like it might unfollow you but others shouldn’t dictate your Twitter habits. I’d much rather see an active Twitter account than one that never tweets! Look at the quantity of tweets that each of the people I chose on this list have tweeted. A lot! The quality of your Twitter content matters as well as your consistency. I use SocialBro for my Twitter management. I have a complimentary pro version and have found it to be the best for managing and growing my Twitter following. On a weekly basis, I run the best times to tweet report and sync it with Buffer. I also find new people to follow based on keywords and follow back people who follow me. It’s a great tool for Twitter growth! I chose some of my favorites to share their Twitter tips. I hope that you got some great inspiration to go forth and tweet. And seriously boost your Twitter strategy! I was wondering, what is the extension you use to make this small summary at the bottom of your post with the title, description the author of your post, and how it makes your SEO better? szabozsuzsa I use the All in One Schema plug-in: https://wordpress.org/plugins/all-in-one-schemaorg-rich-snippets/ and it creates Rich Snippets. OMG. There is so much solid great information. Thank you for posting this. Now I have to become an expert. Hmmmm? Should it be on lipstick or 73 year olds blogging? PegFitzpatrick Thank you, very helpful!